Warrant & Kingdom Come in Tampa, The Who in Tampa, Cinderella & White Lion in Daytona Beach, and the Rolling Stones in Tampa. 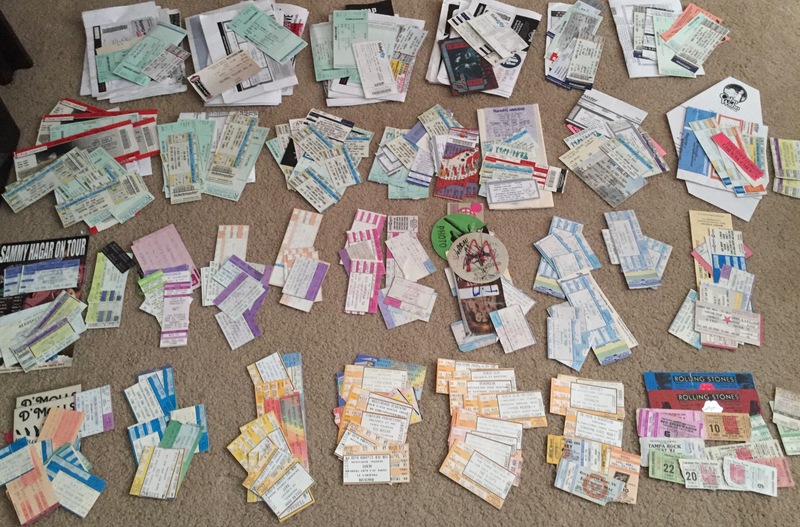 1989 was a slow concert year for me (probably because I was pregnant for half of it). While I saw a good mix of shows, it was definitely the beginning of the end of an era in more ways than one. I moved from Los Angeles back home to Florida early in the year, so these are all Florida-based. 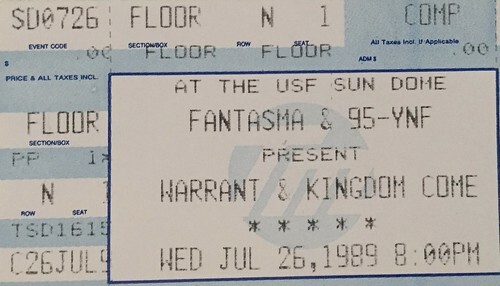 Warrant and Kingdom Come on 7-26-1989 at the University of South Florida Sun Dome in Tampa, Florida. I remember driving some of the members of Warrant back to the Rocket Club in Tampa after this show…the scene hung on in the Rocket Club well into the early ’90s. 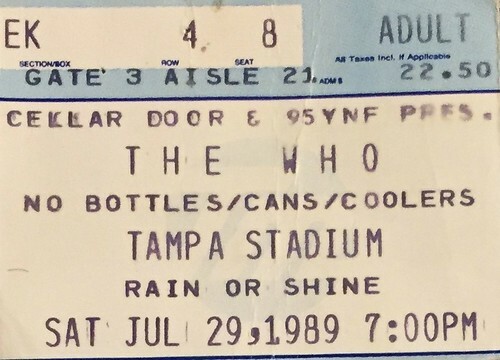 The Who on 7-29-1989 at Tampa Stadium in Tampa, Florida. While I can find the setlist for this show, I cannot seem to find who opened the show. 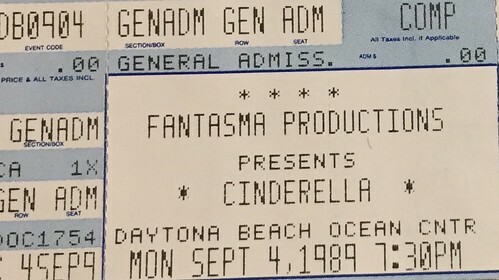 Cinderella and White Lion on 9-4-1989 at the Daytona Beach Ocean Center in Daytona Beach, Florida. It looks like they also toured with Warrant, but I can’t confirm Warrant was at this show and (of course) I don’t remember. 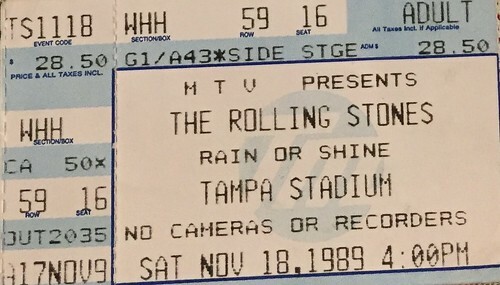 The Rolling Stones on 11-18-1989 at Tampa Stadium in Tampa, Florida. I simply don’t remember who opened, but various sites say opening acts included Living Colour, Guns n’ Roses, and Eric Clapton. You’d think I’d remember any of those… I was associated with a local music magazine around this time and have a lot of their scrapbook items – some mine, some magazine staff. The Warrant and Cinderella shows are listed above. 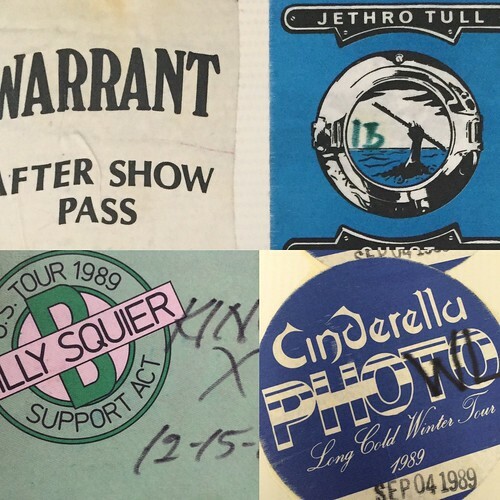 According to setlist.fm, Jethro Tull played 11-26-1989 and Billy Squier and Kings X played 12-15-1989, both at the USF Sun Dome in Tampa, Florida. Copyright 2017 Rocksandy.com. All rights reserved.